At first, one might suspect that my father is taking an incubatory pause to produce a considered response. But, soon, it becomes apparent that these disorienting durations have no correlation with the complexity of the question — even when asked something as simple as the time of day, he would often let miniature eternities pass and lasso the other person in anxiety as the contrast between the natural response time and my father’s gapes its discomfiting abyss of ambiguity. It turns out that my father’s liberal pauses are so discomposing because our experience of time has a central social component — an internal clock inheres in our capacity for intersubjectivity, intuitively governing our social interactions and the interpersonal mirroring that undergirds the human capacity for empathy. Yet whatever one calls it, we share a rough idea of what’s meant: a lasting sense of one’s self moving in a sea of selves, dependent yet alone; a sense, or perhaps a deep and common wish, that I somehow belongs to we, and that this we belongs to something even larger and less comprehensible; and the recurring thought, so easy to brush aside in the daily effort to cross the street safely and get through one’s to-do list, much less to confront the world’s true crises, that my time, our time, matters precisely because it ends. The key ingredient seems to be a physiological response called arousal, which isn’t what you might think. In experimental psychology, “arousal” refers to the degree to which the body is preparing itself to act in some manner. It’s measured through heart rate and the skin’s electrical conductivity; sometimes subjects are asked to rate their own arousal in comparison to images of faces or puppet figures. Arousal can be thought of as the physiological expression of one’s emotions or, perhaps, as a precursor of physical action; in practice there may be little difference. By standard measures, anger is the most arousing emotion, for viewer and angry person alike, followed by fear, then happiness, then sadness. 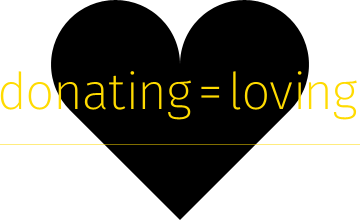 Arousal is thought to accelerate the pacemaker, causing more ticks than usual to accumulate in a given interval, thereby making emotionally laden images seem to last longer than others of equal duration… Physiologists and psychologists think of arousal as a primed physical state — not moving but poised to move. When we see movement, even implied movement in a static image, the thinking goes, we enact that movement internally. In a sense, arousal is a measure of your ability to put yourself in another person’s shoes. Our shared temporal distortions can be thought of as manifestations of empathy; after all, to embody another’s time is to place oneself in his or her skin. We imitate each other’s gestures and emotions — but we’re more likely to do so, studies find, with people with whom we identify or whose company we would like to share. Life dictates that we possess some sort of internal mechanism to keep time and monitor brief durations — yet the one we carry around can be thrown off course by the least emotional breeze. What’s the point of owning such a fallible clock? … Maybe there’s another way to think about it, Droit-Volet suggests. It’s not that our clock doesn’t run well; on the contrary, it’s superb at adapting to the ever-changing social and emotional environment that we navigate every day. The time that I perceive in social settings isn’t solely mine, nor is there just one cast to it, which is part of what gives our social interactions their shading. 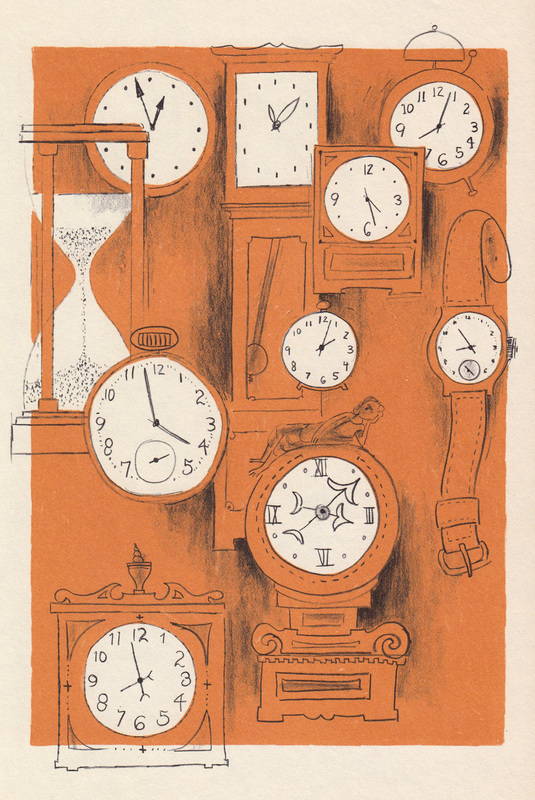 “There is thus no unique, homogeneous time but instead multiple experiences of time,” Droit-Volet writes in one paper. “Our temporal distortions directly reflect the way our brain and body adapt to these multiple times.” She quotes the philosopher Henri Bergson: “On doit mettre de côte le temps unique, seuls comptent les temps multiples, ceux de l’expérience.” We must put aside the idea of a single time, all that counts are the multiple times that make up experience. 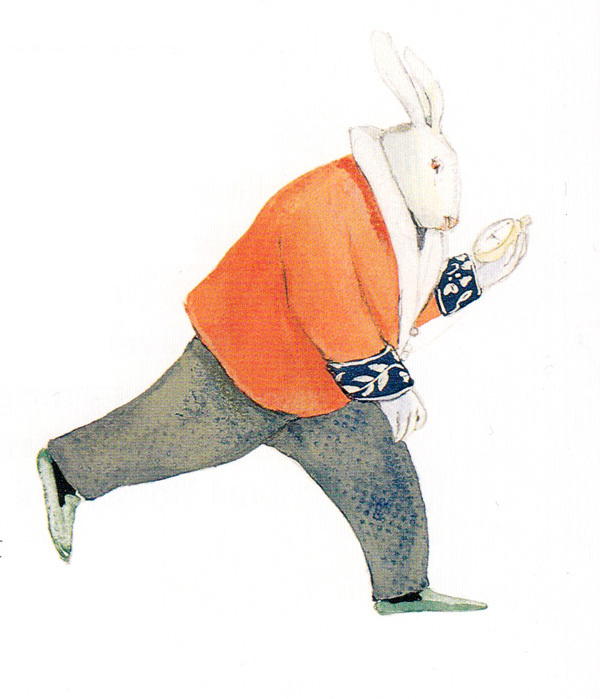 Complement the thoroughly fascinating Why Time Flies with James Gleick on how our time-travel fantasies illuminate consciousness, Patti Smith on time and transformation, T.S. Eliot’s timeless ode to time, and Hannah Arendt on time, space, and our thinking ego, then revisit the story of how Rilke and Rodin gave birth to the modern meaning of empathy. There are times when we should wait and see the benefits of waiting; however, there are times when waiting needs to be resisted. Waiting can be a tool of the powerful to maintain the status quo by forcing people to invest their time in ways that inhibit their ability to transform their situation. Many examples demonstrate the kinds of waiting that reinforce the power dynamics in a society. From the long-delayed recovery efforts and federal dollars following Hurricane Katrina in 2005 or the perpetually delayed recovery for Puerto Rico and other Caribbean islands after Hurricane Maria in 2017, to the long commute times between home and job (often, jobs) imposed on many people below the poverty line, unequal access to time is revealed in the different ways people are forced to wait. 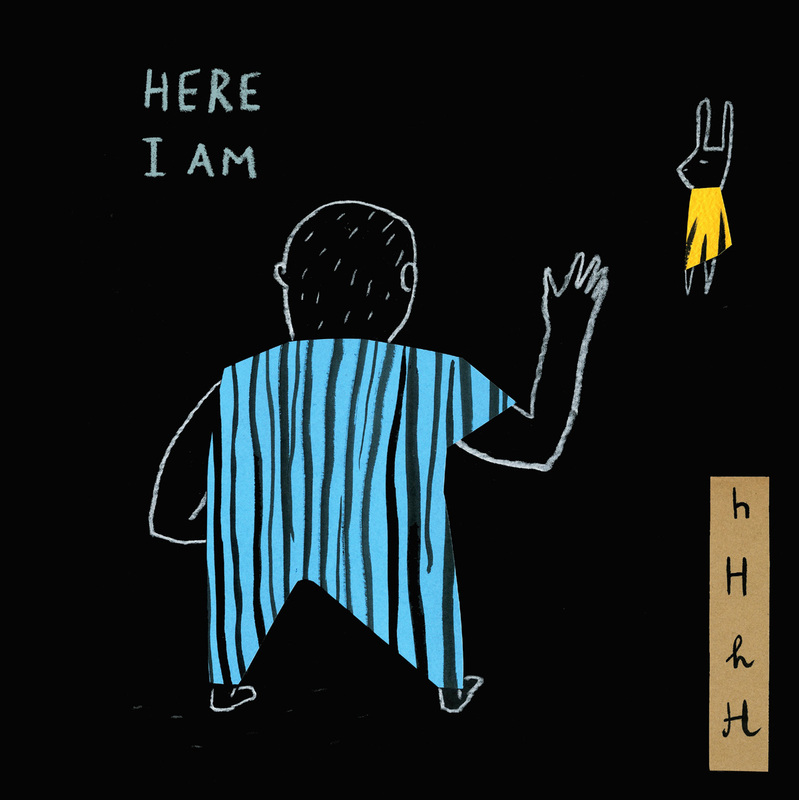 Many social justice advocates like Angela Davis and Michelle Alexander point to prisoners like those sitting in San Quentin as prime examples of those who are forced to wait unjustly. The “prison industrial complex,” as Davis terms it, is fueled by racial inequality that targets African Americans more than any other population. In this example, wait times are strategies of the powerful to maintain the status quo of power relationships in the social order. Complement Delayed Response with Ursula K. Le Guin on why our relationship with time is the root of our morality, Søren Kierkegaard on how to bridge the ephemeral and the eternal, James Gleick on our temporal imagination, and this lovely vintage children’s book about the nature of time by Gleick’s mother, then revisit German chronobiologist Marc Wittman on the psychology of time and how the interplay of spontaneity and self-control mediates our capacity for presence. The great marine biologist and writer Rachel Carson, who sparked the environmental movement with her 1962 book Silent Spring and who pioneered the cultural aesthetic of writing about science in poetic prose, believed that “there can be no separate literature of science,” for “the aim of science is to discover and illuminate truth,” which is also the aim of literature. I have written at length about what separates great science books from the merely good, but I keep coming back to the elegant criterion Carson both named and exemplified. Since I find myself spending less and less time dwelling in the literatures of the present, and more and more in those of the past, I can’t speak to the “best” science books of the year in any ultimate and comprehensive sense. But I can and do have distinct favorites among those I did read — books which embody, in varying degrees, Carson’s example and which accomplish, in various ways, what all great science books accomplish, whether they do so from the perspective of microbiology or of astrophysics: They humble us into remembering that we are but a tiny part of a vast and complex universe operating on scales of space and time in which ours holds no special supremacy. Here are seven such books. 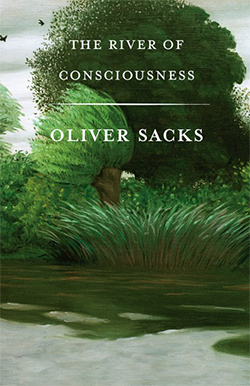 In The River of Consciousness (public library) — a posthumous collection of essays, including many never before published — the warm genius of Oliver Sacks comes alive as he tackles everything from memory to Freud’s little-known contributions to neurology and Darwin’s love of flowers to the nature of creativity. In his signature Sacksian way, he explores the universal through the deeply personal — not only with case studies of his patients, as he has done so beautifully for nearly half a century across his classic books, but this time with the case study of his own self as his body and mind go through the process of aging and eventually dying. Sacks brings the friendly curiosity for which he is so beloved to this ultimate testing ground of character, emerging once more as the brilliant, lovable human he was. For biologist David George Haskell, the notion of listening to trees is neither metaphysical abstraction nor mere metaphor. 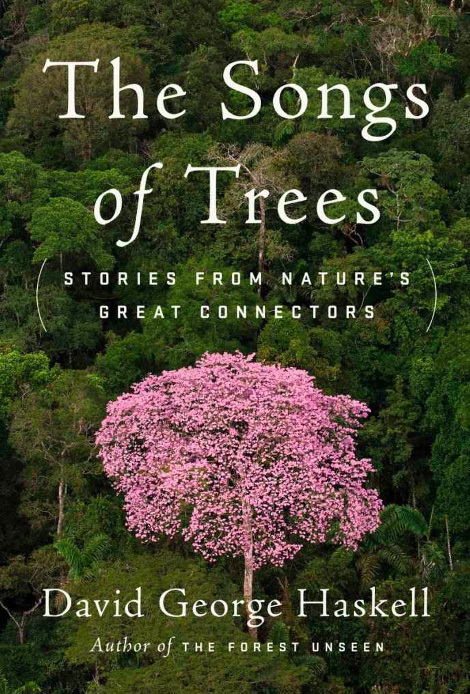 In The Songs of Trees: Stories from Nature’s Great Connectors (public library), Haskell visits a dozen of the world’s most beautiful trees to explore, in immensely lyrical prose and with an almost spiritual reverence, the masterful, magical way in which nature weaves the warp thread of individual organisms and the weft thread of relationships into the fabric of life. 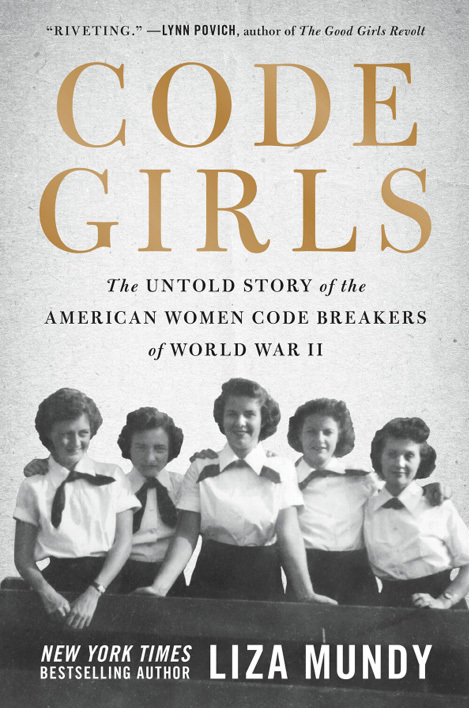 Their story, as heroic as that of the women who dressed and fought as men in the Civil War, as fascinating and untold as those of the “Harvard Computers” who revolutionized astronomy in the nineteenth century and the black women mathematicians who powered space exploration in the twentieth, is what Liza Mundy tells in Code Girls: The Untold Story of the American Women Code Breakers of World War II (public library) — a masterly portrait of the brilliant, unheralded women — women with names like Blanche and Edith and Dot — who were recruited into lives they never could have imagined, lives believed to have saved incalculable other lives by bringing the war to a sooner end through the intersection of language and mathematics. 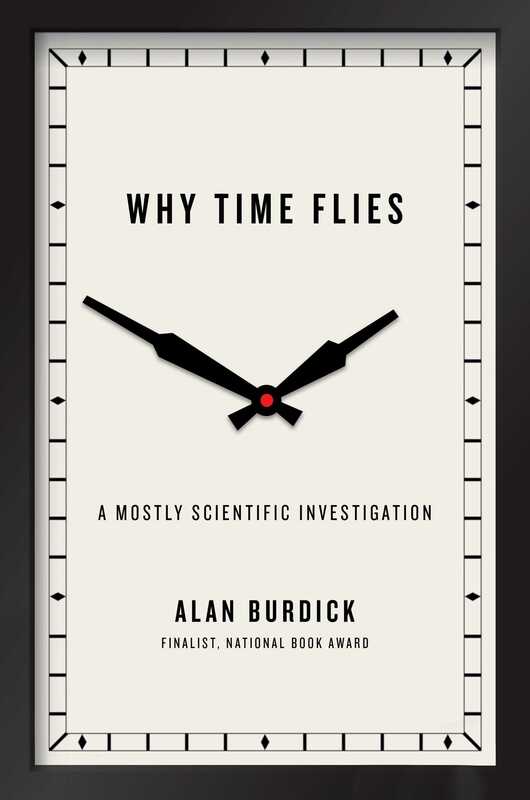 In Why Time Flies: A Mostly Scientific Investigation (public library), New Yorker staff writer Alan Burdick presents a layered, rigorously researched, lyrically narrated inquiry into the most befuddling dimension of existence. From the temporal meditations of the ancient philosophers to the last hundred years of ingenious psychological experiments, he explores such aspects of his subject — a nearly infinite subject, to be sure, which makes his endeavor all the more impressive — as the temporal underpinnings of empathy, why time dilates and contracts depending on whether we are having fun or facing danger, how a mother’s hormones set a fetus’s circadian clock, and what we are actually measuring when we speak of keeping time. 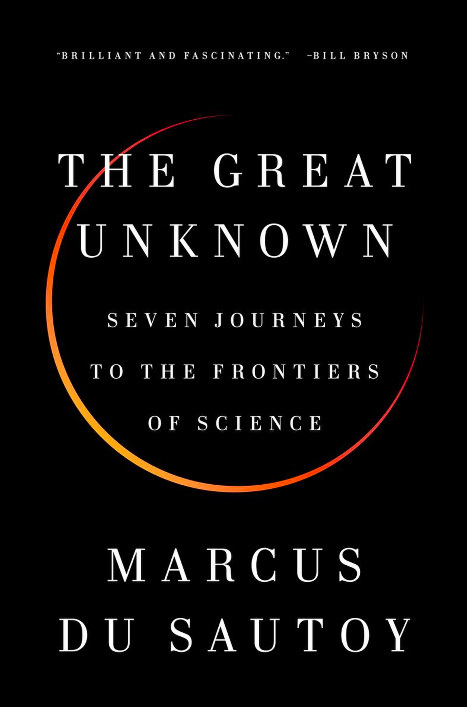 In The Great Unknown: Seven Journeys to the Frontiers of Science (public library), English mathematician Marcus du Sautoy, who serves as chair for the Public Understanding of Science at Oxford University, explores the puzzlement and promise of seven grand scientific questions that are as yet unanswered but are, in theory, answerable. He terms them “edges,” marking horizons of knowledge beyond which we can’t currently see — from consciousness to the complexities of chaos to the nature of dark matter to whether the universe is infinite or finite, or whether it is even a universe or a multiverse. In this age of aggressive certitudes, how refreshing and needed to be reminded of the beauty and value of the unknown as our foremost frontier of civilizational growth. In his revolutionary treatise Dialogue Concerning the Two Chief World Systems, Galileo employed the ancient rhetorical device of dialogue to reconfigure our understanding of the universe and our place in it. 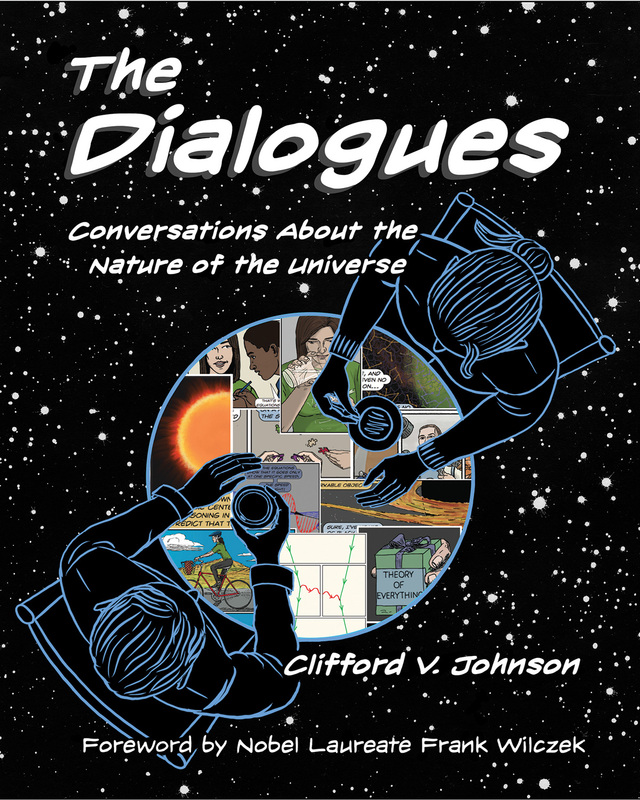 Four centuries later, English theoretical physicist Clifford Johnson turns to the same device in The Dialogues: Conversations about the Nature of the Universe (public library) — a most unusual and original graphic novel (or, rather, book-length comic of cosmic nonfiction) exploring some of the most fascinating facets of modern science. Strikingly, Johnson took a semester off from teaching to learn to draw and illustrated the book himself, then populated his panels with refreshingly diverse characters of varied races, genders, and nationalities. 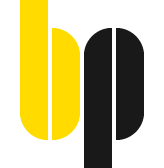 Interpolating between the roles of explainer and explainee without any dominant pattern of presumed authority, they venture into illuminating conversations about black holes, quantum electrodynamics, relativity, the multiverse theory, and other thrilling puzzlements of science. Black Hole Blues and Other Songs from Outer Space (public library) by astrophysicist and novelist Janna Levin is one of those rare achievements where a science book enchants not only with the thrill of its subject, but with the splendor of its prose. Although it was originally published in the autumn of 2016, there are two reasons — quite apart from its being one of the finest books I’ve ever read — that merit its inclusion this year. The first is trivial: The paperback was released in 2017. The second is monumental: The book is the definitive chronicle of the discovery that won the 2017 Nobel Prize in Physics — the landmark detection of gravitational waves, the pinnacle of the century-old quest to hear the sound of spacetime. One of the world’s preeminent astrophysicist, Levin is also a masterly novelist who brings her gift as a literary artist to the greatest astrophysical leap in our understanding of the universe since Galileo first pointed his crude brass telescope at the heavens. And because great science books continue to illuminate and enchant long past their publication, do revisit the selections for 2016, 2015, 2014, 2013, 2012, and 2011. Words of comfort and compassion from Albert Einstein, Abraham Lincoln, Rachel Carson, Charles Darwin, Alan Turing, Johannes Brahms, and Charles Dickens. “Grief, when it comes, is nothing like we expect it to be,” Joan Didion wrote in her classic memoir of loss. But however uncertain its guise may be, its arrival is one of the central certainties of existence — no human life is unplundered by loss, in one form or another, at one time or another. And when grief does come, when its tidal force anneals us to the rawest axis of our being, it seems like nothing at all can unmoor us from its all-consuming gravity. Consolation of the bereaved is therefore an immensely difficult art and one of the most generous human gestures, perhaps even the most acutely life-saving. Gathered here are several such masterworks of consolation, beautiful and heartbreaking and aglow with the resilience that is the hallmark of life, from some of humanity’s greatest minds and largest spirits. In addition to his groundbreaking discoveries in physics, which changed our understanding of time and fostered a common language of science, Albert Einstein (March 14, 1879–April 18, 1955) was also a man of enormous wisdom, empathy, and emotional intelligence, which he channeled in his voluminous correspondence with family, friends, colleagues, and strangers — he wrote breathtaking love letters, counseled his young son on the secret to learning anything, assured a little girl who wanted to be a scientist but feared her gender would hold her back, shared the secret to his genius with an inquisitive colleague, and corresponded with Freud on violence, peace, and human nature. But one of his most poignant and humane letters was addressed to Queen Elisabeth of Belgium, with whom he had cultivated a warm friendship. After the sudden death of her husband, King Albert, followed closely by the death of her daughter-in-law, Einstein offered thoughtful and tender solace to his bereaved friend. Penned in 1934 and cited in Krista Tippett’s wonderful book Einstein’s God: Conversations About Science and the Human Spirit (public library), the letter is at once a gift of warm consolation for the Queen’s grief and a timeless meditation on time, eternity, and the privilege of old age. 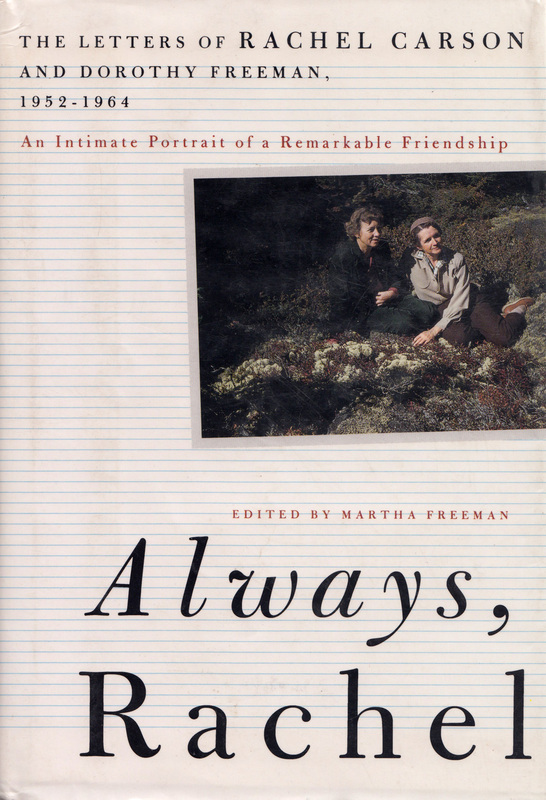 Undoubtedly the most unusual and the hardest kind of consolation is that whose subject is one’s own imminent death and whose object is a loved one about to be left bereaved, for it requires one to simultaneously face the anguish of one’s own looming nonexistence and to rise above it in order to soften the loved one’s impending loss. To grieve one’s own death while consoling from the grave-to-be is therefore a supreme act of generosity and self-transcendence. That is precisely what trailblazing biologist and writer Rachel Carson (May 27, 1907–April 14, 1964) did as she lay dying from breast cancer shortly after she catalyzed the modern environmental movement with her courageous refusal to keep silent about the government’s assault on nature. Even as she faced her own death, Carson was most concerned about her best friend and beloved, Dorothy Freeman. This is a postscript to our morning at Newagen, something I think I can write better than say. For me it was one of the loveliest of the summer’s hours, and all the details will remain in my memory: that blue September sky, the sounds of the wind in the spruces and surf on the rocks, the gulls busy with their foraging, alighting with deliberate grace, the distant views of Griffiths Head and Todd Point, today so clearly etched, though once half seen in swirling fog. But most of all I shall remember the monarchs, that unhurried westward drift of one small winged form after another, each drawn by some invisible force. We talked a little about their migration, their life history. Did they return? We thought not; for most, at least, this was the closing journey of their lives. But it occurred to me this afternoon, remembering, that it had been a happy spectacle, that we had felt no sadness when we spoke of the fact that there would be no return. And rightly — for when any living thing has come to the end of its life cycle we accept that end as natural. That is what those brightly fluttering bits of life taught me this morning. I found a deep happiness in it — so I hope, may you. Thank you for this morning. You are starting on your way to me in the morning, but I have such a strange feeling that I may not be here when you come — so this is just an extra little note of farewell, should that happen. There have been many pains (heart) in the past few days, and I’m weary in every bone. And tonight there is something strange about my vision, which may mean nothing. But of course I thought, what if I can’t write — can’t see to write — tomorrow? So, a word before I turn out the light. Darling — if the heart does take me off suddenly, just know how much easier it would be for me that way. But I do grieve to leave my dear ones. As for me, however, it is quite all right. Not long ago I sat late in my study and played Beethoven, and achieved a feeling of real peace and even happiness. Never forget, dear one, how deeply I have loved you all these years. In addition to pioneering modern computing, Alan Turing (June 23, 1912–June 7, 1954) remains the greatest code-breaker of all time. His decryption of Nazi communication code is estimated to have saved anywhere between 14 and 21 million lives in shortening WWII by two to four years. But despite his humanitarian heroism, Turing was driven to suicide after being chemically castrated by the U.K. government for being homosexual. More than half a century after his disquieting death, Queen Elizabeth II issued royal pardon — a formal posthumous apology that somehow only amplifies the tragedy of Turing’s life and death. Tragedy had been with Turing from a young age. At fifteen, while attending the Sherborne School, he fell deeply in love with a classmate named Christopher Morcom. For the awkward and ostracized young Alan, who was bullied so severely that a group of boys once trapped him under the floorboards of a dorm dayroom and kept him there until he nearly suffocated, Christopher was everything he was not — dashing, polished, well versed in both science and art, and aglow with winsome charisma. Alan’s love was profound and pure and unrequited in the dimensions he most longed for, but Christopher did take to him with great warmth and became his most beloved, in fact his only, friend. They spent long nights discussing science and philosophy, trading astronomical acumen, and speculating about the laws of physics. When Christopher died of bovine tuberculosis in 1930 — a disease he had contracted from infected milk, for which there was no common vaccine until after WWII — Alan fell to pieces. 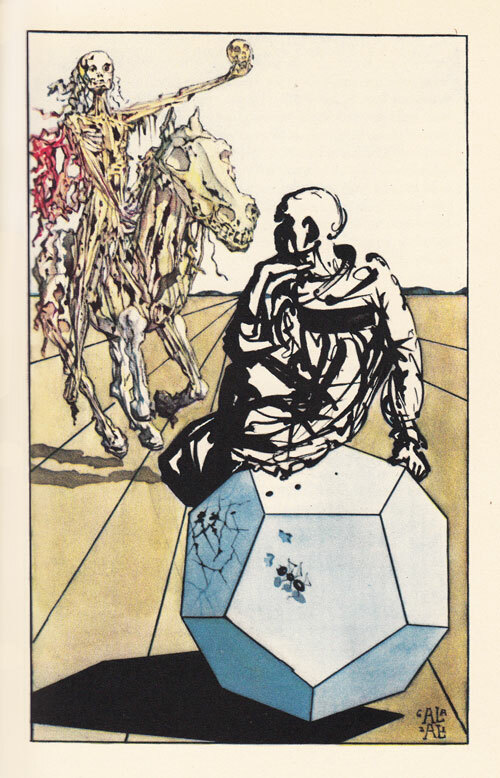 He was able to collect himself only through work, by burrowing so deep into the underbelly of mathematics that he emerged almost on the other side, where science and metaphysics meet. Sorrow had taken him on a crusade to make sense of reality, of this senseless ruin, and he spared no modality of thought. Most of all, he wanted to understand how he could remain so attached to someone who no longer existed materially but who felt so overwhelmingly alive in his spirit. All the while, young Turing remained in touch with Christopher’s mother, who had taken a sympathetic liking to her son’s awkward friend. After Christopher’s death, he visited the Morcoms at their country home, Clock House, and corresponded with Mrs. Morcom about the grief they shared, about the perplexity of how a nonentity — for Christopher had ceased to exist in physical terms — could color each of their worlds so completely. 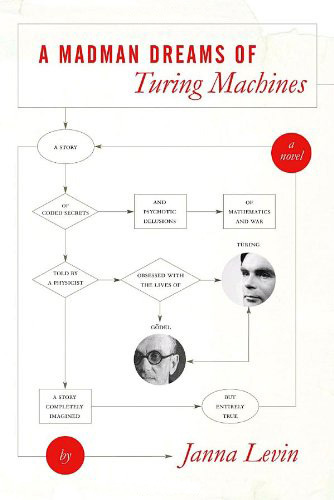 That sorrowful puzzlement is what Turing explored in a series of letters to Christopher’s mother, originally included in his first serious biography and brought to new life in astrophysicist Janna Levin’s exquisite novel A Mad Man Dreams of Turing Machines (public library). I was so pleased to be at the Clockhouse for Easter. I always like to think of it specially in connection with Chris. It reminds us that Chris is in some way alive now. One is perhaps too inclined to think only of him alive at some future time when we shall meet him again; but it is really so much more helpful to think of him as just separated from us for the present. It used to be supposed in Science that if everything was known about the Universe at any particular moment then we can predict what it will be through all the future. This idea was really due to the great success of astronomical prediction. More modern science however has come to the conclusion that when we are dealing with atoms and electrons we are quite unable to know the exact state of them; our instruments being made of atoms and electrons themselves. The conception then of being able to know the exact state of the universe then really must break down on the small scale. This means then that the theory which held that as eclipses etc. are pre-destined so were all our actions breaks down too. We have a will which is able to determine the action of the atoms probably in a small portion of the brain, or possibly all over it. Then as regards the actual connection between spirit and body I consider that the body by reason of being a living body can “attract” and hold on to a “spirit” whilst the body is alive and awake and the two are firmly connected. When the body is asleep I cannot guess what happens but when the body dies the “mechanism” of the body, holding the spirit, is gone and the spirit finds a new body sooner or later perhaps immediately. As regards the question of why we have bodies at all; why we do not or cannot live free as spirits and communicate as such, we probably could do so but there would be nothing whatever to do. The body provides something for the spirit to look after and use. One of the noblest leaders in Western civilization, Abraham Lincoln (February 12, 1809–April 15, 1865) led a difficult life punctuated by tragedy — his mother’s death when he was only nine, the death of two sons in his lifetime, and his own assassination at the dawn of his second term as president, slain by a Confederate fundamentalist shortly after a speech announcing Lincoln’s intention to advance African Americans’ right to vote. That December, just after the Emancipation Proclamation for which Lincoln had fought so hard was finally issued, loss struck again when one of his dearest friends, William McCullough, was killed during a night charge in Mississippi. A vital characteristic of a great spiritual, civic, or political leader is the ability — or is it the unrelenting willingness? — to rise from the depths of his or her personal pain in the service of another’s welfare. That’s precisely what Lincoln did for his country, and what he did in his magnificent letter of consolation to Fanny McCullough, William’s daughter, later included in the altogether indispensable Library of America anthology Lincoln: Speeches and Writings (public library). Charles Dickens (February 7, 1812–June 9, 1870) was a man of multitudes, brilliant and flawed, but among the strongest and most unambivalent animating forces of his life was the love he had for his younger sister, Letitia. In 1862, Letitia lost her husband of twenty-five years, the architect and artist Henry Austin. In a letter from early October of that year, found in The Letters of Charles Dickens (public library | free ebook), Dickens envelops his sister in equal parts compassionate consolation and a call to psychoemotional arms. I do not preach consolation because I am unwilling to preach at any time, and know my own weakness too well. But in this world there is no stay but the hope of a better, and no reliance but on the mercy and goodness of God. Through those two harbours of a shipwrecked heart, I fully believe that you will, in time, find a peaceful resting-place even on this careworn earth. Heaven speed the time, and do you try hard to help it on! It is impossible to say but that our prolonged grief for the beloved dead may grieve them in their unknown abiding-place, and give them trouble. The one influencing consideration in all you do as to your disposition of yourself (coupled, of course, with a real earnest strenuous endeavour to recover the lost tone of spirit) is, that you think and feel you can do… I rather hope it is likely that through such restlessness you will come to a far quieter frame of mind. The disturbed mind and affections, like the tossed sea, seldom calm without an intervening time of confusion and trouble. 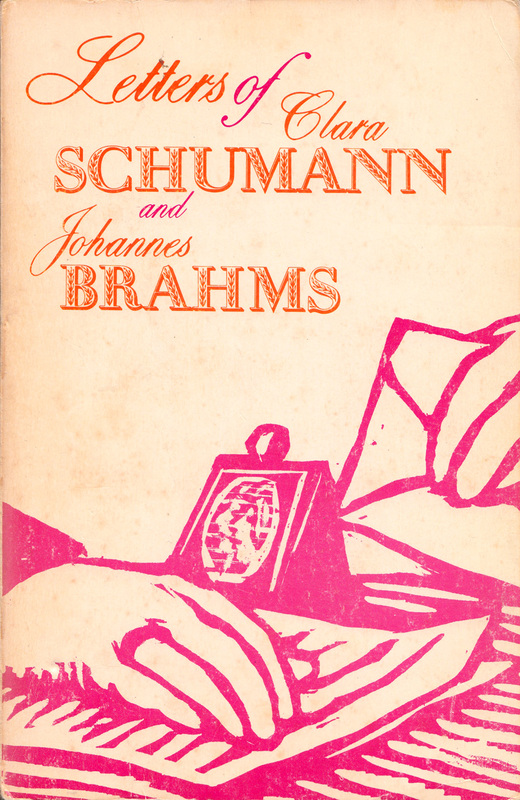 The beautiful and unclassifiable relationship between the virtuosic pianist Clara Schumann (September 13, 1819–May 20, 1896) and the composer Johannes Brahms (May 7, 1833–April 3, 1897) blessed both with a lifetime of love, but it began with the heartache of death. When the composer Robert Schumann — Clara’s beloved husband and Johannes’s revered mentor — succumbed to mental illness and died in the asylum where he was committed, Clara was left to raise their three sons and four daughters as a single mother and a working artist who provided for them through her musical talent, performing and touring tirelessly to put them through school. Johannes, fourteen years her junior, became her closest confidante, her most steadfast source of affection, and her sturdiest pillar of support through the grief. In a letter from the autumn of 1857, Brahms sets out to remind her of the wider, longer view of life, which grief so swiftly narrows and blunts. While such perspective may not be the most helpful in the immediate aftermath of loss, and may in fact compound the pain of the bereaved by making him or her feel rushed through the process of grief, here Brahms is offering it after more than a year of bereavement, as a gentle and loving invitation to reawaken to life’s fullness against the backdrop of somnolent hollowness that grief casts. My dear Clara, you really must try hard to keep your melancholy within bounds and see that it does not last too long. Life is precious and such moods as the one you are in consume us body and soul. Do not imagine that life has little more in store for you. It is not true… The more you endeavor to go through times of sorrow calmly and accustom yourself to do so, the more you will enjoy the happier times that are sure to follow. Why do you suppose that man was given the divine gift of hope? And you do not even need to be anxious in your hope, for you know perfectly well that pleasant months will follow your present unpleasant ones, just as they do every period of unhappiness. After he weighed the pros and cons of marriage, Charles Darwin (February 12, 1809–April 19, 1882) decided in favor of matrimony and was wedded to his beloved, Emma Wedgwood. They went on to have a long and loving marriage, made all the stronger by their devotion to the ten children they had together. 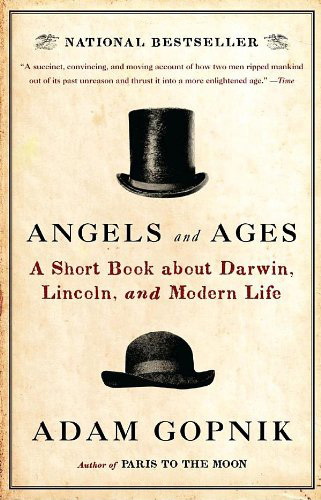 Darwin’s letters reveal that while he loved all of his children intensely, he especially cherished his eldest daughter, Annie — a sensitive and unselfconsciously awkward girl, kindhearted and voraciously curious about the world, in whom he saw much of himself. In 1850, Annie fell ill with what was most likely a type of tuberculosis. Despite the Darwins’ frantic efforts in every direction of a cure, she died on April 23, 1851, at the Malvern spa where she’d been taken for treatment. She was ten. Her father was at her dying bedside and her mother home at Down House, caring for the other nine children. I pray God Fanny’s note may have prepared you. She went to her final sleep most tranquilly, most sweetly at 12 oclock today. Our poor dear dear child has had a very short life but I trust happy, & God only knows what miseries might have been in store for her. She expired without a sigh. How desolate it makes one to think of her frank cordial manners. I am so thankful for the daguerreotype. I cannot remember ever seeing the dear child naughty. God bless her. We must be more & more to each other my dear wife — Do what you can to bear up & think how invariably kind & tender you have been to her… My own poor dear dear wife. 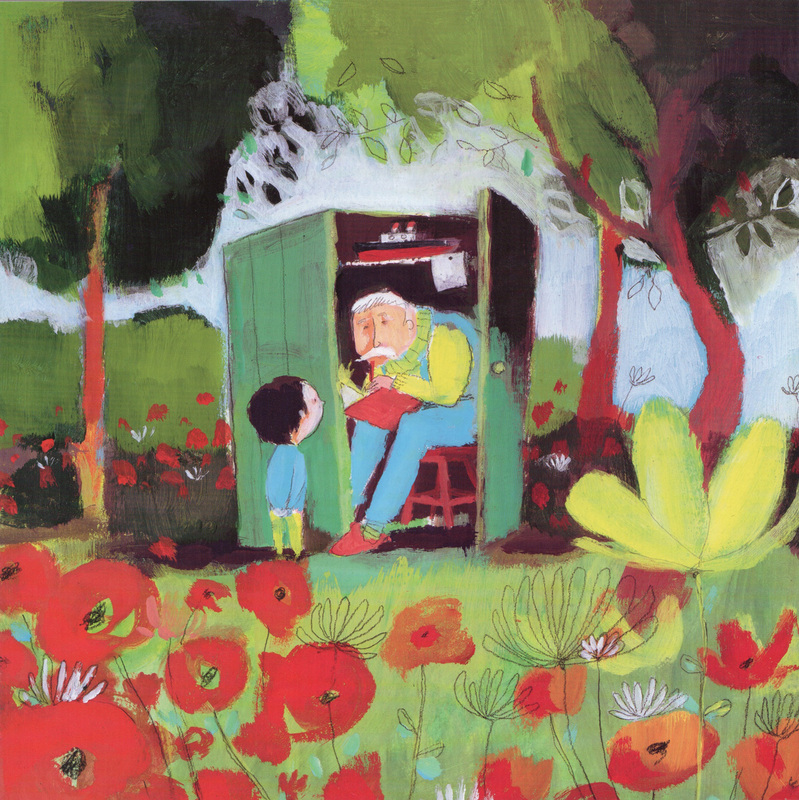 Complement with Meghan O’Rourke on learning to live with loss, a great Zen teacher’s advice on navigating grief, and these uncommon children’s books that guide kids through the messiness of mourning.